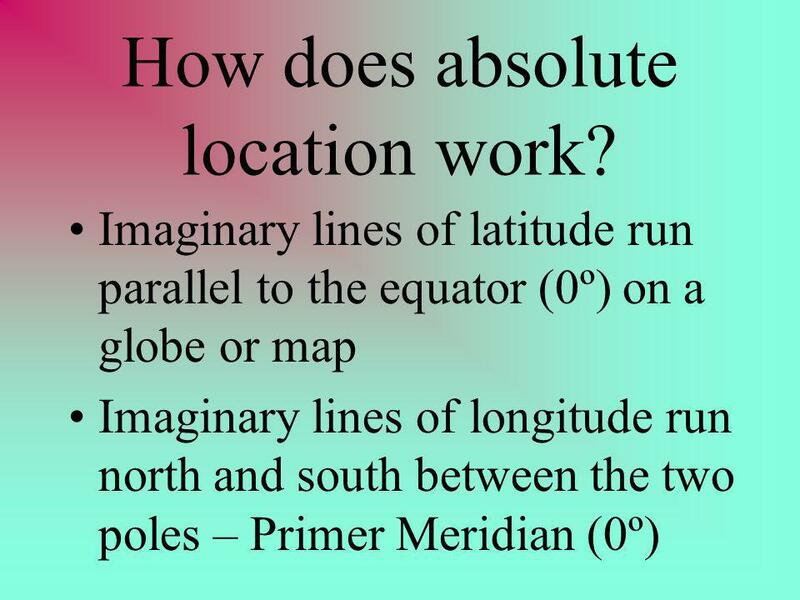 5 How does absolute location work? 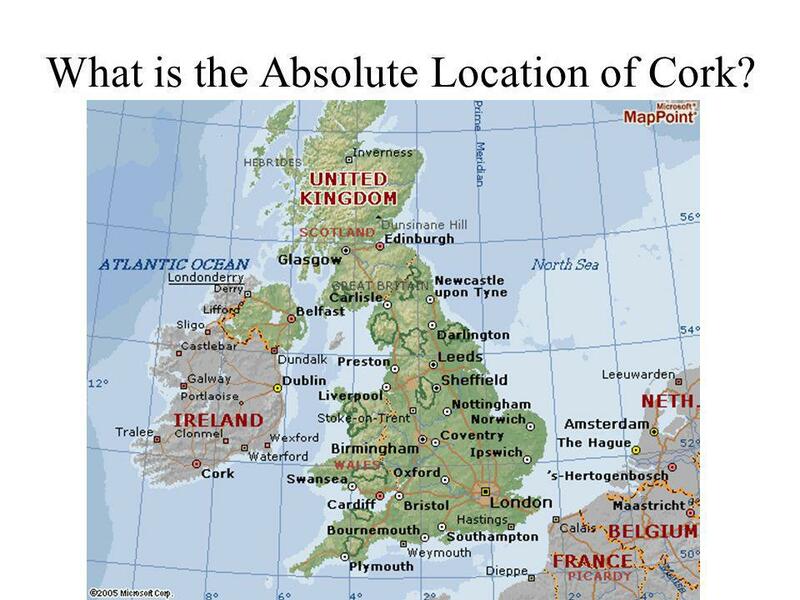 6 What is the Absolute Location of Cork? 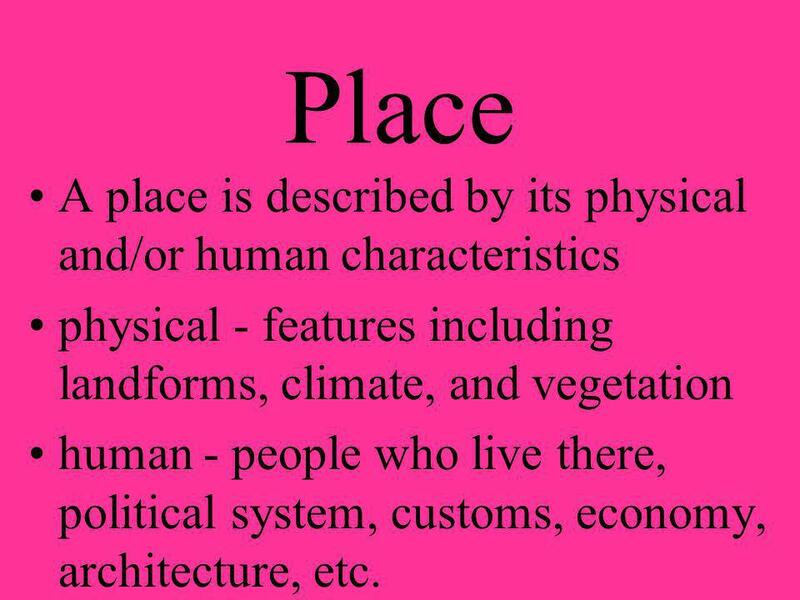 7 Place A place is described by its physical and/or human characteristics physical - features including landforms, climate, and vegetation human - people who live there, political system, customs, economy, architecture, etc. Place – What makes the places we are visiting unique? What are their physical characteristics, but also, what are their human characteristics? 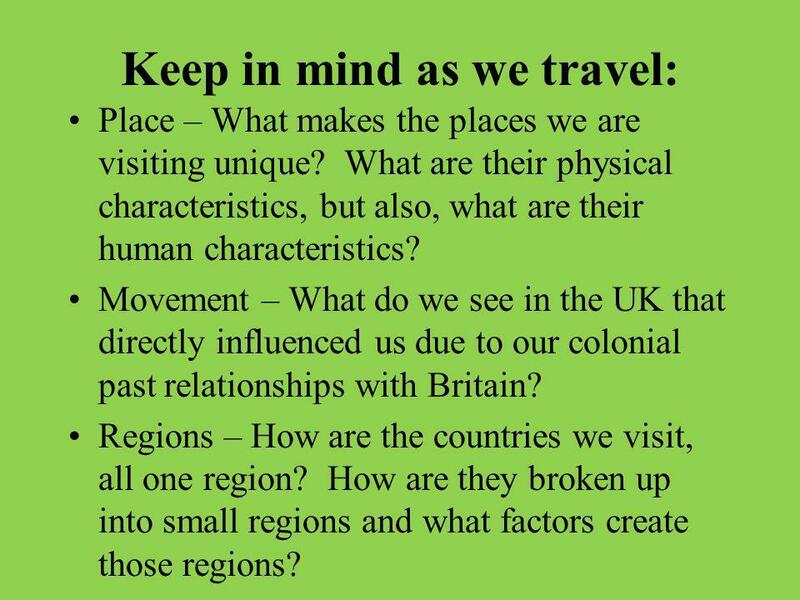 Movement – What do we see in the UK that directly influenced us due to our colonial past relationships with Britain? Regions – How are the countries we visit, all one region? How are they broken up into small regions and what factors create those regions? 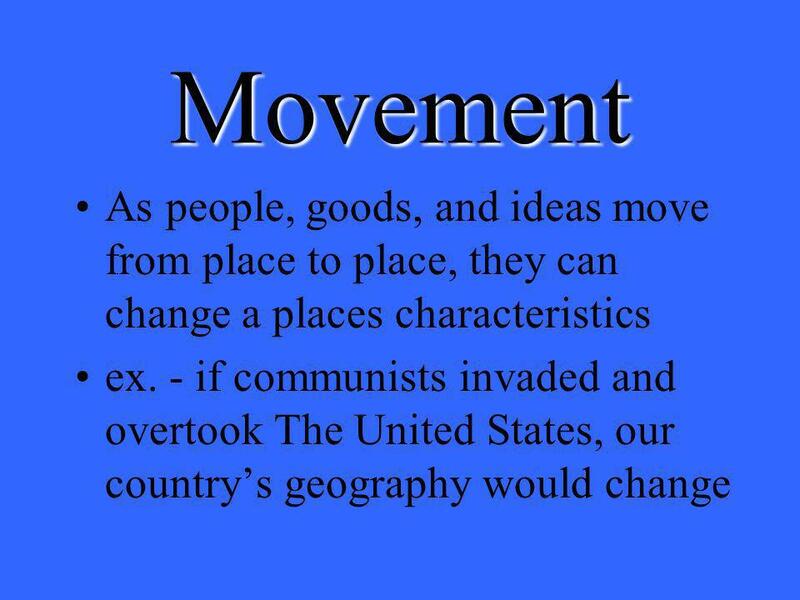 Download ppt "Brief Introduction to Geography"
The Five Themes of Geography Who in their right mind wanted us to learn about this????? GEOGRAPHY How can we describe our world?. THE FIVE THEMES OF GEOGRAPHY 1. Location: where places are located on the earth’s surface. 2. Place: Physical. 5 Themes of Geography. 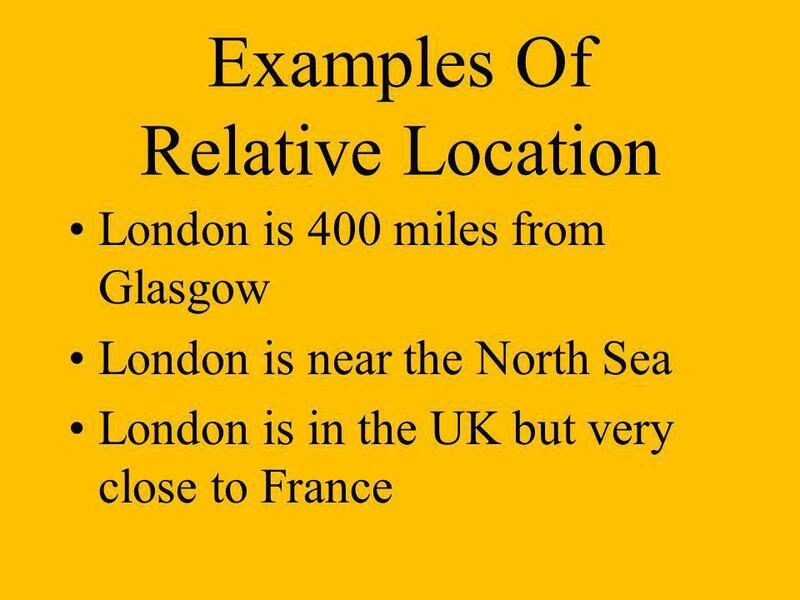 Location: “Where is it?” Absolute location: is the exact place on the earth where a geographic location is found. Hemisphere: half. 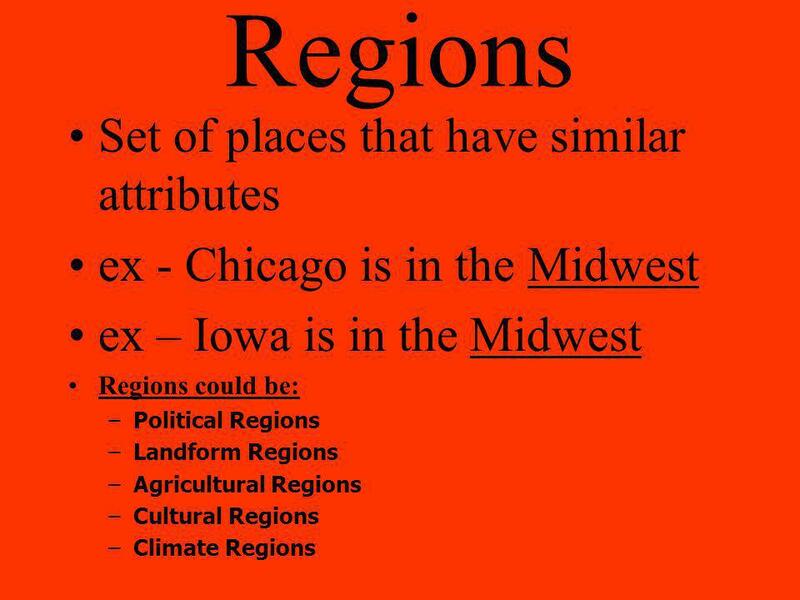 Geography involves the study of places: their locations, their characteristics, and how humans use and move around them. 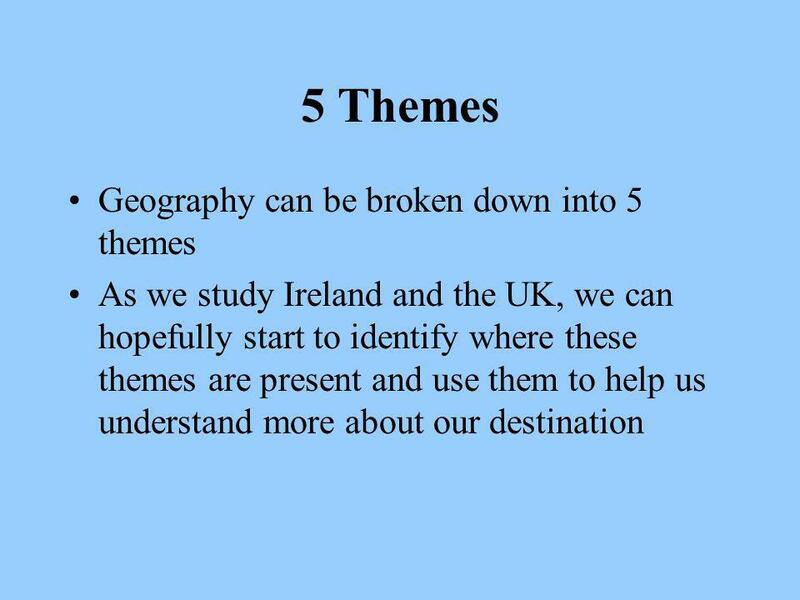 5 Themes of Geography The study of geography is broken up into 5 areas called themes. 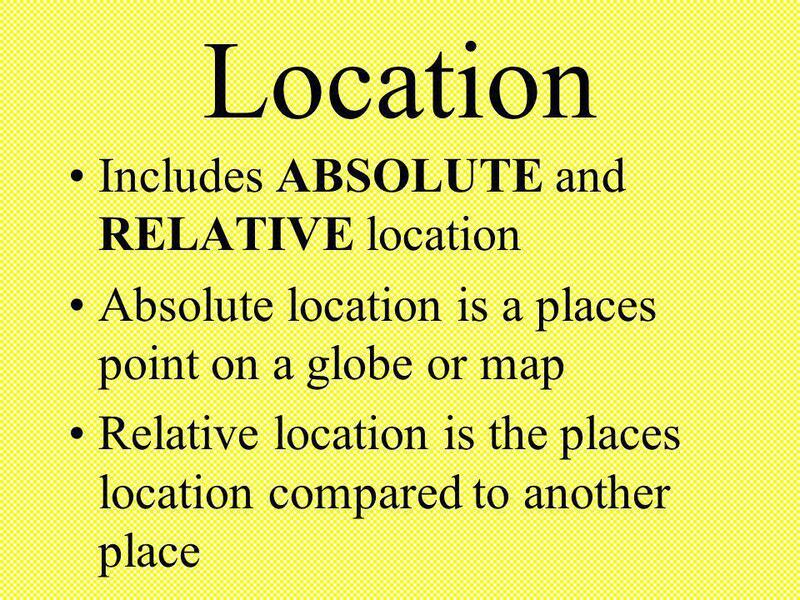 The five themes of Geography are: Location, Place, Human/Environment. Write in complete sentences in your spiral. Think about a desert. What things about a desert would a geographer want to know? Hint: Geographer – a person. The Five Themes of Geography A Framework for Studying History. 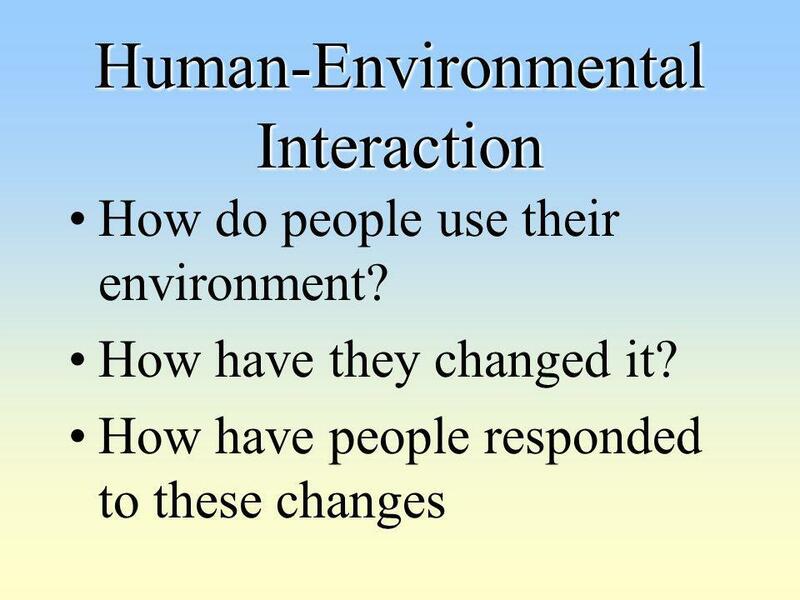 The Five Themes of Geography 1.Location 2.Place 3.Human-Environment Interaction 4.Movement 5.Regions. The 5 Themes of Geography 7 th Grade Social Studies.